Christmas In Cape Cod by Nan Rossiter is a contemporary romance novella that takes place during the Christmas season. The characters from this novella first appeared in The Gin & Chowder Club by Nan Rossiter so there is a bit of character development missing but the novella is fine to read and understand as a standalone if choosing to do so. Asa Coleman has planned a family Christmas in Cape Cod with his young son Noah and has invited his best friend Maddie Carlson to spend Christmas with his family. Asa is just learning his duties as a single father with this being the first Christmas with Noah so he wants nothing more than everything to be perfect to begin their own memories together. 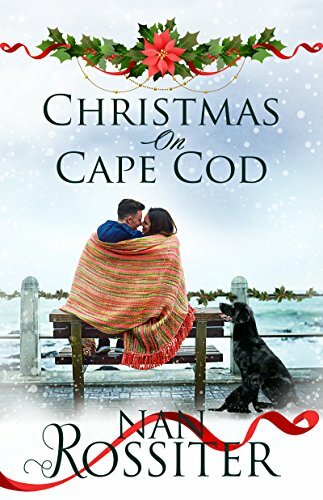 Christmas In Cape Cod was a sweet holiday romance that was just chocked full of lovely holiday traditions and family. Being a spin off novella there is a bit of background missing but the lovely characters and festive spirit certainly make up for it. Definitely a lovely read coming just in time for the holiday season. 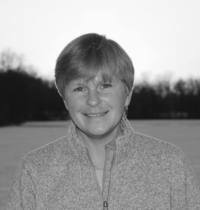 New York Times and USA Today bestselling author Nan Rossiter grew up in Pelham, New York. Some of her earliest memories include riding a green stingray bike—complete with banana seat and sissy bar—to the Pelham Library, which at the time, was a tiny, cave-like space tucked beneath Hutchinson Elementary School. It was from the shelves of this library that Nan first discovered the magic of books. Some of her favorite characters included Mrs. Piggle-Wiggle, Pippi-Longstocking, Laura Ingalls, and Harriet the Spy. When she was in middle school, Nan moved with her parents to Barkhamsted, Connecticut. She graduated from Rhode Island School of Design and, after freelancing for several years, began writing and illustrating books for children, including RUGBY & ROSIE, winner of Nebraska’s Golden Sower Award, and THE FO’C’SLE: Henry Beston’s Outermost House. Nan’s adult fiction is often compared to Nicholas Sparks, Elin Hildebrandt, and Nancy Thayer and has been highly acclaimed by reviewers from Publisher’s Weekly to Booklist. Nan lives in rural Connecticut with her husband, two handsome sons, and a noble black Lab named Finn, who takes her for long walks every day, no matter what the weather! I do enjoy Christmas stories, both novellas and full length stories. I am looking forward to this one. I did not read The Gin and Chowder Club, but after looking at it on Goodreads, I probably will. Nice review Carrie. Thanks Carla! I didn’t realize it was a spin off until reading but it’s one of those with just a touch of background missing and understandable otherwise.